shingle roofs are know for their beauty and natural appearance to blend in with the surrounding environment. 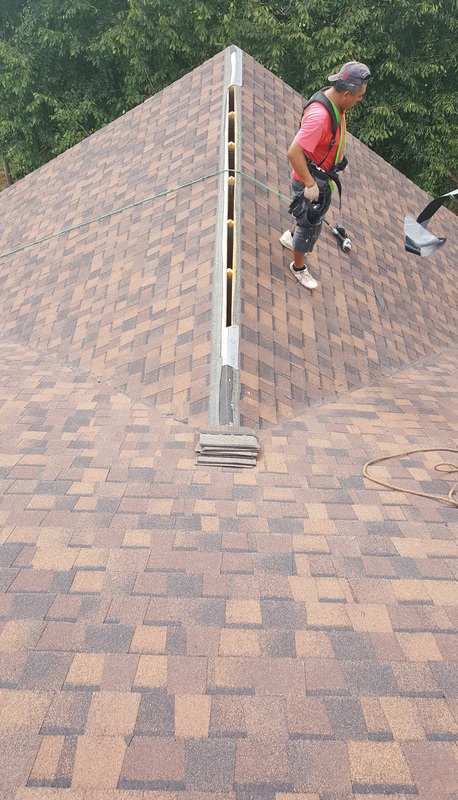 Also these shingles offer the homeowner many choices of colors and textures, as well as length of warranty for the right, custom mix of durability, appearance and affordability. Ask a New Sunrise Roofing Contractor to help you with further questions. What are asphalt roofing shingles and what is asphalt’s role in roofing shingles? Asphalt roofing shingles are the most commonly used covering on residential properties in the market. 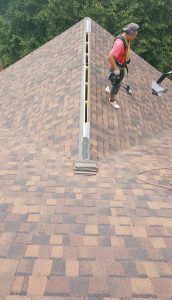 Asphalt’s primary purpose in roofing shingles is to serve as a waterproofing agent. Asphalt also holds the granules in place and adds to the overall strength of the roofing shingle. The best asphalt will stay flexible and will not dry out or become hard or brittle for the expected life of the roofing shingle. Strip asphalt roofing shingles are single-layered asphalt roofing shingles typically designed to look like slate. Strip roofing shingles are usually the lightest weight asphalt roofing shingles available in the market. 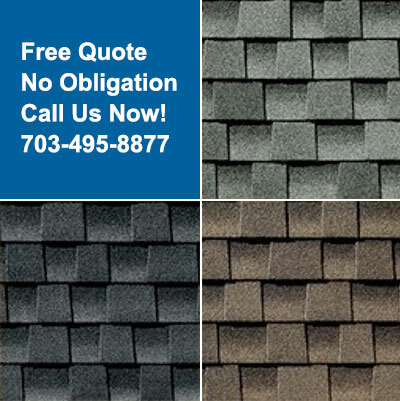 Built on a tough fiber glass base, each shingle provides resistance to blow-off and tearing. Strip roofing shingles are used primarily by home builders manufacturing economy priced homes or purchased by homeowners as replacement roofing shingles for homes that already have strip shingles on the roof. Proven performance expectation of 50 years or more. History of metal roofing stretches back to 970 B.C., when the temple in Jerusalem was equipped with a copper roof. This particular style of roof developed an island identity much later when it became popular in the Virgin Islands. There are two generic types of metal roofing systems for residential use: concealed fastener systems and exposed fastener systems. Generally, exposed fastener systems cost less than concealed fastener systems. Depending on the aesthetic look you are trying to achieve, NEW SUNRISE ROOFING has trained professional contractors and we can help you choose the system right for you and your roof design. 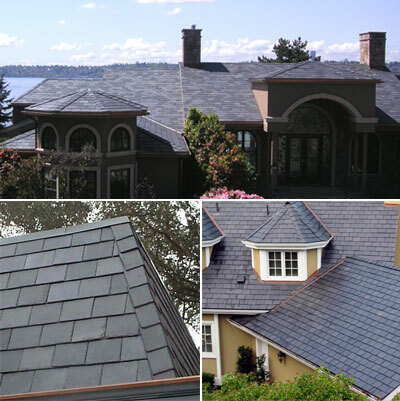 Slate – installation of slate on your home’s roof is an elegant and extremely durable option. Natural slate requires little or no maintenance and no chemicals are necessary to preserve it. The introduction of new technology has made slate more affordable, durable and functional for more clients. Ask one of our contractor at New Sunrise Roofing,Inc. for more information we are here to help you choice the best product for your home. 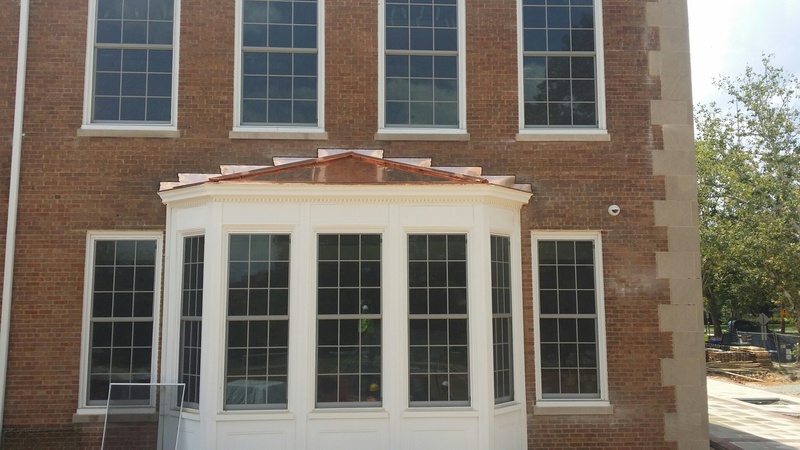 GAF Truslate: Truslate is a natural, hand-split, quarried slate, which has been improved with GAF technology to make it a more versatile product. Compared to other natural slates it is more affordable and can be installed in a wider range of applications. Coupled with a complete GAF roof system, a Truslate roof will last for many years, and it carries a Lifetime warranty.